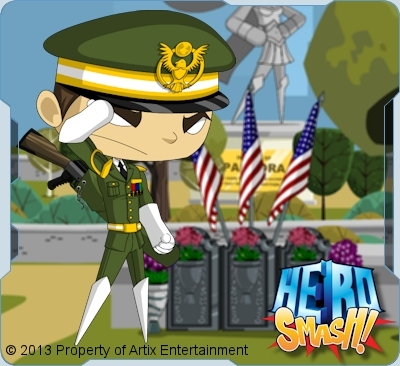 We've added a few new (Limited Time) items to the Hero Memorial in the Park of Liberty City. Remember the Fallen! This past month we pushed out a lot of wares! More Cinco de Mayo items than before (plus a rare to be added this weekend (Sink o Da Mayo?). Also this Memorial Day shop was the first test of the new currency system we are trying; Member and Smashcoin items are now both the same (except the fact that SC ones not take up bank space). We increased the pricing range as many have been asking for and are currently working to make a better system format for different level gear, a long with multiple other projects. Once again enjoy your weekend and keep an eye on this page as we keep you up to date!